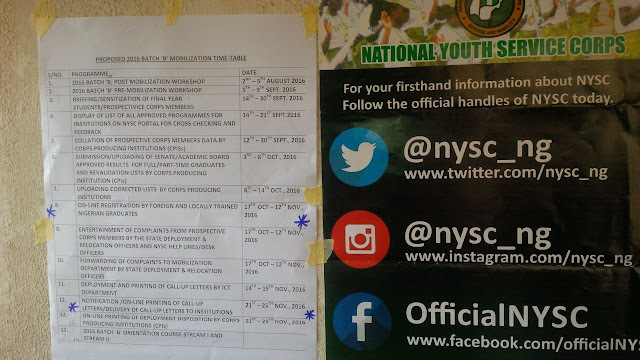 The NYSC Mobilization time-table for 2016 Batch B is officially out. This confirms our earlier report on the schedule. Click here to see the full time-table. On Friday, the National Youth Service Corps (NYSC) completed a four-day 2016 Batch B Pre-Mobilisation Workshop for representatives of corps producing institutions. At the end of the workshop, NYSC Director-General, Brig. Gen. Sule Kazaure said “the workshop provided a forum for the NYSC management and all stakeholders to interface and review the past activities with a view to finding solutions to the challenges that might have arisen in the previous mobilisation exercise and other associated problems. The Acting Vice Chancellor of Obafemi Awolowo University, Professor Anthony Elujoba has set up a task force to review the facts and circumstances surrounding the crises that engulfed the University as a result of the selection process of a new Vice-Chancellor for the University. In a statement signed by the Secretary to the Task Force, V. C. Ohalete, the task force is referred to as “Task Force On The Crises In The University In 2016 Arising From The Selection Process Of A New Vice-Chancellor For The University”. 1. To review the facts and circumstances surrounding the crises that engulfed the University as a result of the selection process of a new Vice-Chancellor for the University. 2. To find out the remote and immediate cause(s) of the crises. Federal government declares September 12 and 13 as public holidays to mark the Eid-el-Kabir. The Federal Government of Nigeria has declared September 12 and 13 as public holidays to mark the Eid-el-Kabir festival. This was declared by the Minister of Interior, Retired Lt.-Gen. Abdulrahman Dambazau, on behalf of the Federal Government in a statement signed by the acting Permanent Secretary in the ministry, Muhammadu Maccido. He enjoined all Muslims and Nigerians in general to support and join hands with the administration of President Muhammadu Buhari in his sustained efforts to diversify the economy and progressively accelerate the pace of economic recovery. He also said that the FG was aware of the current economic challenges the nation was facing and promised that appropriate steps will taken to address the challenges. The Guild of Editors in a bid to safeguard the interest of its member boards has issued a public warning to persons who deface and vandalise press boards on campus. Let it be known to all in the OAU community that it is a serious and punishable offence to paste on or remove from boards of news agencies anywhere on this campus. It is becoming a recurring event that people paste on these boards and sometimes remove news pieces from there. It takes a lot of time and energy to come up with these works to ensure that the entire OAU community is aware of happenings around and far away from them. Thus, defacing these boards is synonymous to sabotaging our efforts. The management of the Obafemi Awolowo University through the office of the Director of works has come out with a public release stating that there would be power outage on campus on Saturday, 10th and Sunday, 11th September 2016. According to the release, the outage is due to a maintenance service that would be carried out by the Ibadan Electricity Distribution Company at Osogbo. However, there are also speculations that the planned maintenance may also affect the generality of Ife as Osogbo is the general distributor of electricity of the town. Alongside learning in a strenuous environment, the entrepreneurs are the students who earn money on the side by putting to practice acquired skills like make-up art, hairdressing, catering and the likes. Most of these ones in order to live in Maintenance, do all these to maintain themselves. I can say only a few of these enterprising ladies do their businesses with zest, also meeting the demands of their academics while some engage in the businesses much to the detriment of their academics. Do you know that a sad number of people die annually from the abuse and misuse of drugs and related substances? Do you know that a number of these victims are young adults? Do you share a passion to help stem this menace of drug abuse plaguing the society? ......... towards a drug free world. It is no longer news that the Law Students Society one of the nation's foremost Law faculty, IfeLaw, in equipping its members organized a two day Conference between 2nd to 3rd September, 2016. The conference had in attendance the creme de la creme of the society. The conference, tagged Legal Career Opportunities Conference LCOC and themed Beyond the bar, had in attendance representatives from the Central Bank of Nigeria, Dr Bayo Adaralegbe from Babalakin $ Co., Mr Adedeji Adeyinka and other hotshots, both in the legal and business world. Contentious and vital topics such as Arbitration, Mortgage Business, Entrepreneurship, Impact of the ICT on the legal profession, Curriculum Vitae and Cover Letter Writing to mention but a few were expertly discussed by the truly competent speakers. Participants also seemed very much interested in the sessions as germaine questions were asked and answered during the course of the conference. The Division of Students Affairs, Obafemi Awolowo University Ile-ife has annulled the elections held by Faculties to select candidates who would represent them on the proposed committee by Division to assist in the process of reinstating the Students Union. The annulment was as a result of a number of irregularities noticed in the Electioneering processes of some Faculties. In a communique also released by the Association of Campus Journalists, OAU, she has also come out to clear the air on the alleged misinformation that was said to have trailed the Association's communique on the first meeting. The association, which was also present at the meeting, was informed that there were some modifications to the proceedings of the meeting after it ended which led to the discrepancies in outcome of the Meeting by the several bodies in attendance especially as regards the representatives from the Faculties eventually becoming Election and Election Petition Committee members. 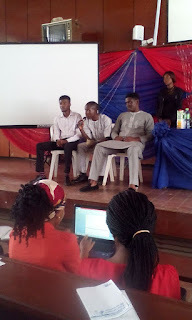 On Tuesday, the 2016 Batch 'B' Pre-Mobilization workshop began in Ibadan, Oyo state with Student Affairs Offices, including that of Obafemi Awolowo University in attendance. In the mean time, NYSC has said its attention has been drawn to some dates being peddled around as the time for the start of registration for the 2016 Batch 'B' Corps. "The attention of the Management of the National Youth Service Corps has been drawn to information circulating in the internet directing prospective corps members to commence online registration for the 2016, Batch 'B' orientation course on 8th September, 2016. "Management wishes to inform all prospective corps members, parents, guardians and the general public, that no date has yet been fixed for the 2016 Batch 'B' orientation course. Man has always been interested in predicting the future. Although this is entirely impossible, there are instances in which he still tries to predict as accurate as possible, expected events and turnouts. 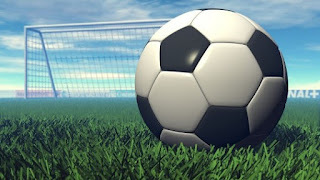 Weather forecasts, stock market predictions, scientific hypothesis and sport betting are instances in which man has continually depended on predictions and likely events to acquire knowledge that, in turn, inform choices and decisions. One major approach in prediction is the studying of past trends and facts and comparing findings and results on any given issue with special focus on conditions and factors that may have changed over time. This essay will use that same approach to answer the question that doubles as the title of this article. To do that fully, we must understand the peculiarities of Buhari’s earlier reign, draw similarities and differences between that reign and his present, and draw conclusions from our findings. Resultant to the directive of the Division of Students Affairs of the Obafemi Awolowo University that students of all Faculties provide two representatives each as part of a committee that would work with the Division and the Vice-Chancellor on the reinstatement and proper reestablishment of the Students Union of the institution, many faculties have started to hold Congresses to select their representatives. It was gathered that whilst it was less tedious for the less populated Faculties to pick their candidates, some larger Faculties had to hold elections to select their representatives on the committee; which according to the Division of Students Affairs is not the conventional Students Union Transition Committee. 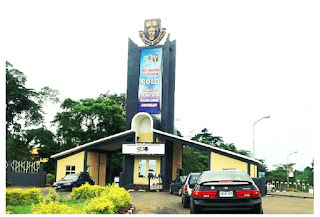 The Chairman of the OAU chapter of Non-Academic Staff Union, NASU, Comrade Odewunmi and representatives of the Senior Staff Association of Nigerian Universities, SSANU, OAU have come out to appreciate the role of the social and mass media in their recent agitation against the irregularities in the appointment of a Vice-Chancellor for the institution. Speaking at the National Dialogue on the use of the Social Media, Odewumi appreciated the efforts of media houses and campus journalists in helping ensure that their cause gained international attention as against the similar 2009 struggle on the appointment of Professor 'Tale Omole. 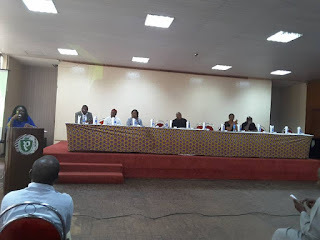 The programme, which was organised by Oyedeji Olanrewaju and his team, also featured a panel discussion from Vincent Adeoba, Umar Galadima, and Adetula David; who was duly represented. The Department of Dramatic Arts, Obafemi Awolowo University, wishes to bring to the notice of general public that as part of its pivotal plans to equip and develop the creative minds of newly admitted students into the department, the department has begun this year initiation tagged initiation 2016,the journey. Initiation is a platform where newly admitted students are meant to undergo rigorous training for some weeks; this trains them mentally, psychologically, physically and tt brings out the best in them to undertake the study in the department. In the history of initiation in Nigerian universities, no university reckons with what is obtainable on the shores of great Ife campus. In fact, the initiation experience is second to none, only the strong survive. The prowess, the talents, the approach is unheard of, the watchword is described as dynamism, even as it incarnates excellence in its supremacy. Junior Chamber International Nigeria (JCIN)OAU, organizers of the OAU Freshers Spelling bee, has begin it recruitment exercise for the 2015/2016 academic session. This recruitment exercise is open all young leaders, entrepreneurs and all young persons. The recruitment exercise begins with sales of form to interested students who wish to join the league of young active citizens. Each year thousands of young people join the JCI movement across the world. For most of them, this is the beginning of a very exciting experience as they begin to build relationships, acquire new skills and take leadership positions both within and outside JCI. JCI is a Worldwide community of about 200,000 young active citizens and leaders with shared beliefs and purpose. * Members create positive change in themselves and their community. * A grassroots network of, about 5,000 Local Organizations. JCIN OAU gives members opportunity to Impact with JCI, dream and dream big, get Involved, and be active. 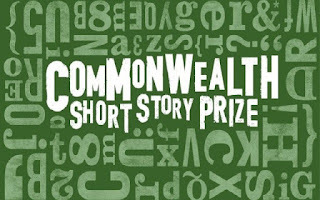 The 2017 Commonwealth Short Story Prize is now open for entries. The international judging panel comprises one judge from each of the five regions – Africa, Asia, Canada and Europe, the Caribbean and the Pacific. Please note that while the entries will be judged regionally, all judges will read and deliberate on entries from all regions. Regional winners receive £2,500 and the overall winner receives £5,000. Short stories translated into English from other languages are also eligible, and we invite writers from Mozambique who write in Portuguese, and writers who write in Samoan, Swahili and Bengali, and who do not have an English translation of their story, to submit their stories in the original language.